I happened to be perusing Facebook a couple of days ago (as you do these days, “ubiquity” being the watchword) when I saw this little item from the National Museum of the United States Air Force. 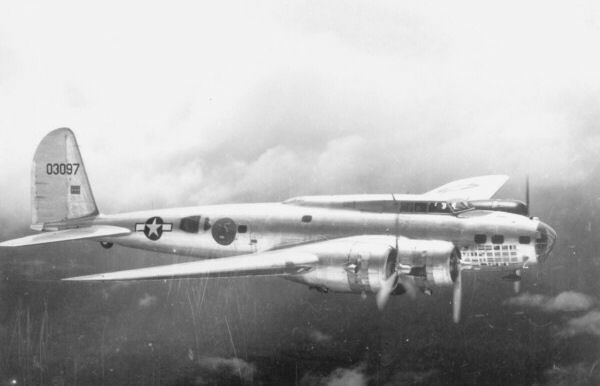 I wondered about the date, but May 17, 2018 is the 75th anniversary of the Belle’s last mission. It’s very fitting and I shall be on of the throng making their way up to Dayton to take a look. I missed it on the only occasion I was in Memphis, I was catching a connecting flight and there wasn’t enough time to go and take a look. It was also some time in the evening and pelting with rain, which wouldn’t have helped. There are a lot of familiar pictures of Memphis Belle on the Interwebs, but thanks to a recent effort by Senior Airman Nathan Clark of the 97th Mobility Air Wing at Altus Air Force base, Oklahoma, I am able to share a photo of Memphis Belle which a few people may not have seen. I had never seen it before. Thank you!! B-17G 42-32076 “Shoo Shoo Shoo Baby” at the National Museum of the USAF in Dayton, OH. Speaking purely personally, I would love to see her go back into the restoration hangar to try and correct or update some of the cosmetic aspects of the restoration done in the 1980s, specifically the Olive Drab/Neutral gray paint scheme applied to cover the sheet metal work that was carried out to restore her to her original bomber configuration. See the pictures above for an idea of how she looks now and how she looked after landing in Sweden in May 1944. It is my belief that restoration techniques have advanced sufficiently – citing B-29 Doc as an example – to allow her to be restored in her original unpainted state. I do acknowledge though, that Doc hasn’t undergone the same degree of modification that Shoo Shoo Shoo Baby experienced. That’s just me. I have no desire to cause any offense to anyone who may have worked on the restoration. Times were different then, and some techniques were simply not available. 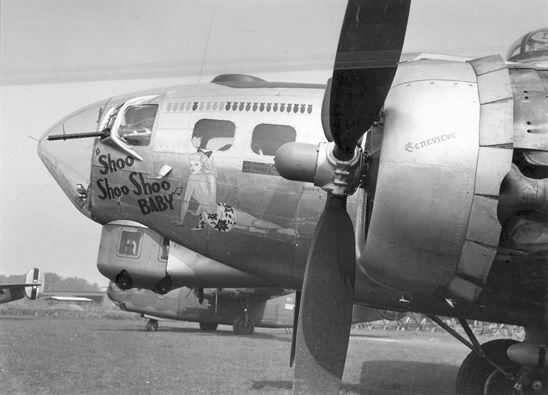 On a positive note, the other delightful prospect is that yet another B-17 is in the works at Dayton, this being B-17D 40-3097 The Swoose (seen below in 1944) – which was transferred from the Smithsonian Institution to the NMUSAF in 2007. There are pictures of the two veteran B-17s side by side in the restoration facility at Dayton. I may be an old romantic but it would be wonderful to see the three combat veterans sitting together somewhere before the illustrious group is dispersed, although I suspect that timing may not allow this to happen. Having mentioned Apollo 17 in what turned out to be the final post of 2016 on this blog, I couldn’t let the passing of Eugene Cernan, Apollo 17’s Mission Commander, go unremarked. Captain Eugene Andrew “Gene” Cernan, USN, passed on January 16, 2017 in Houston, Texas. It’s always sad when these veterans and dare I say, heroes pass. We may not know their like again.